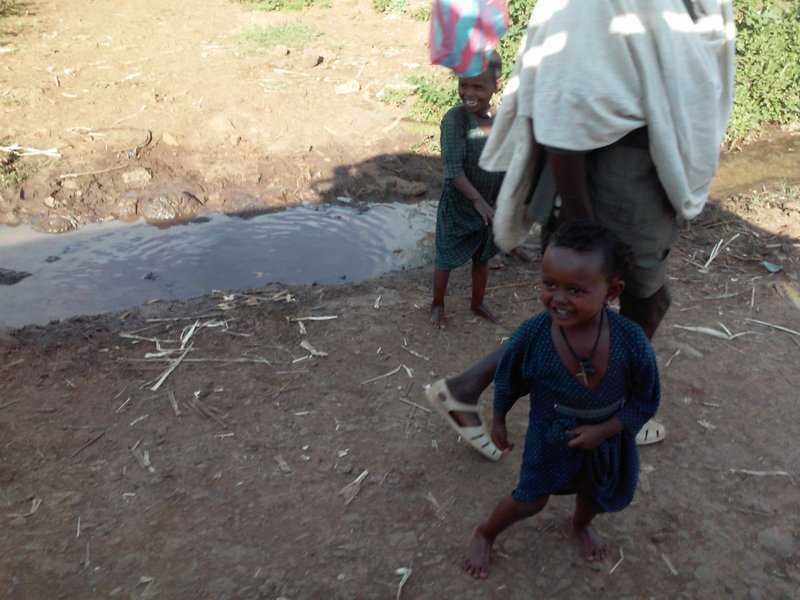 Are you planning a trip to Ethiopia, but still searching for a guide? 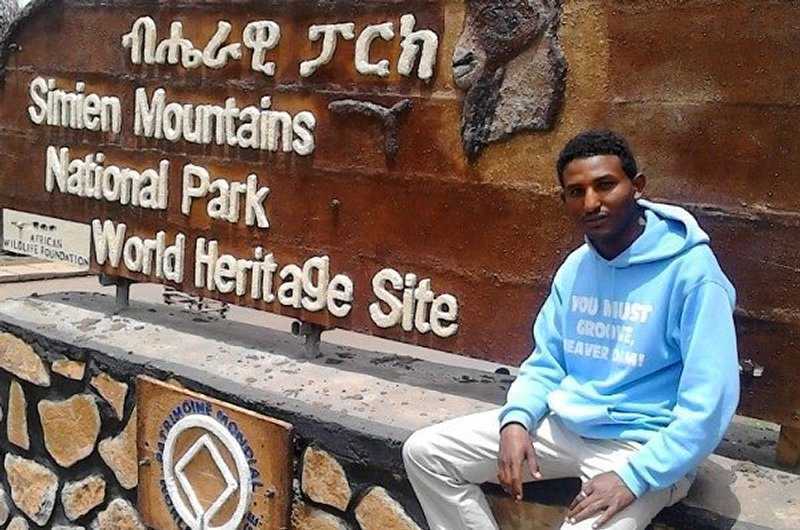 My name is Michael and I would love to be your guide and show you the most amazing places in Ethiopia! 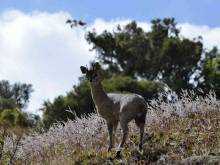 Come visit the amazing Simien Mountians and walk alongside our endemic gilada baboons, walia ibex, and ethiopian wolf. Take pictures of the most beautiful landscapes. I offer treks of all lengths to suit my clients, two examples of which are shown below. Furthermore, it is also possible to plan an individual trip including all the places you want to discover. 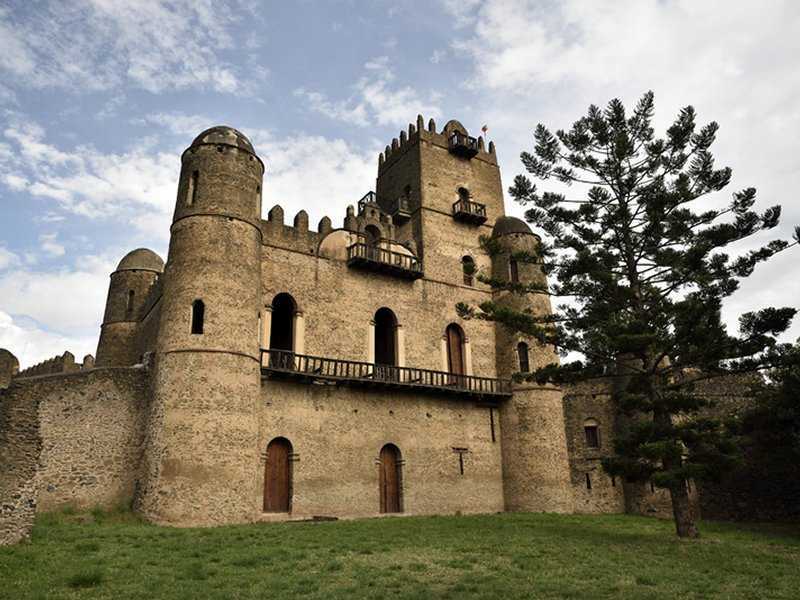 We depart early from the historical town of Gondar and drive around 2.5 hours on a tarred, comfortable road to Debark where we get permission to enter Simien National Park at the park head office. We then drive 22km further to the Simien Lodge, within the national park. 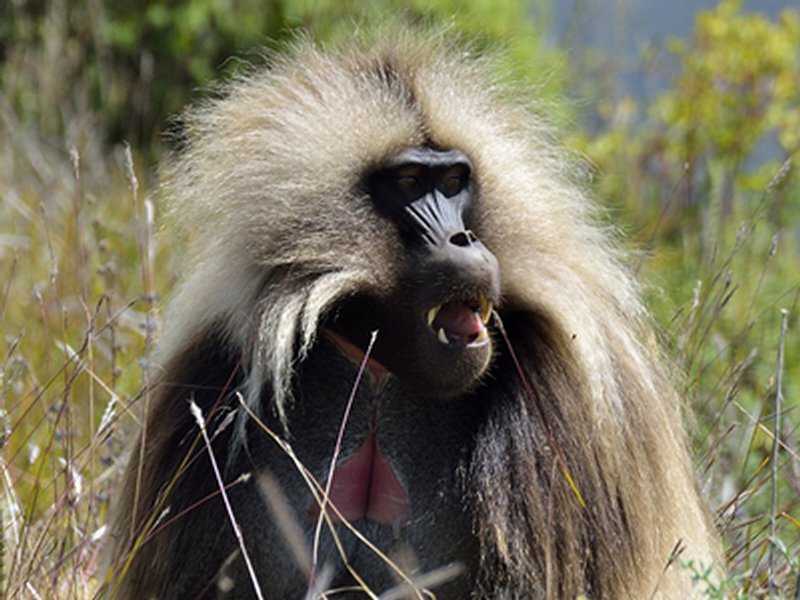 From here we walk about 2 or 3 hours, stopping often to admire the amazing views of the escarpment, take photos and see the friendly gelada baboons. We will also see a variety of plants and flowers. Overnight at Sankabar camp (3250m). The hike from Sankaber to Geech camp takes about 5 to 6 hours passing through ever more spectacular scenery and varying flowers and trees . There the possibility to see a klipspringer and minlikbushbuk as well as a leopard (if we are very lucky!). 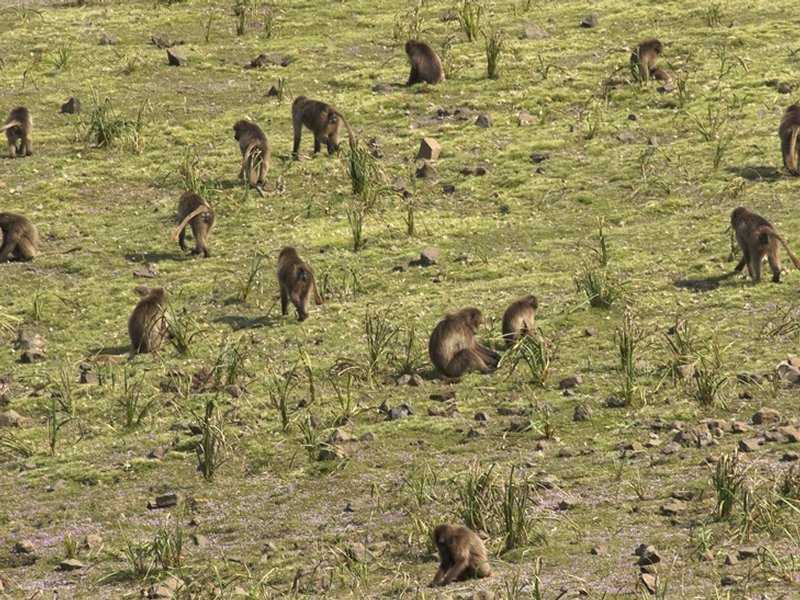 The entertaining gelada baboons are always around. 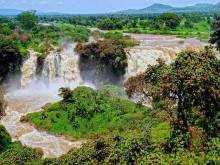 Along the way we pass the 500m high Jinbar waterfall and stop for lunch on the banks of the Jinbar river. We pass through Geech village where we can have coffee with a local family in their traditional tukul hut which they share with their animals. This is a great way to glimpse the day to day life of the mountain people. Overnight at Geech camp (3600m). 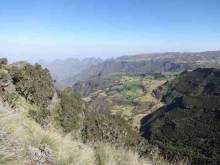 From Geech to Chennek camp takes about 7 to 8 hours it is the best trekking route in the Simien mountains. On the way we visit Imet Gogo, the single most spectacular spot in the whole of the Simien mountains. Imet Gogo, at 3926m, has incomparable 360 degree views of canyons, cliffs and valleys that look as if they go on forever. 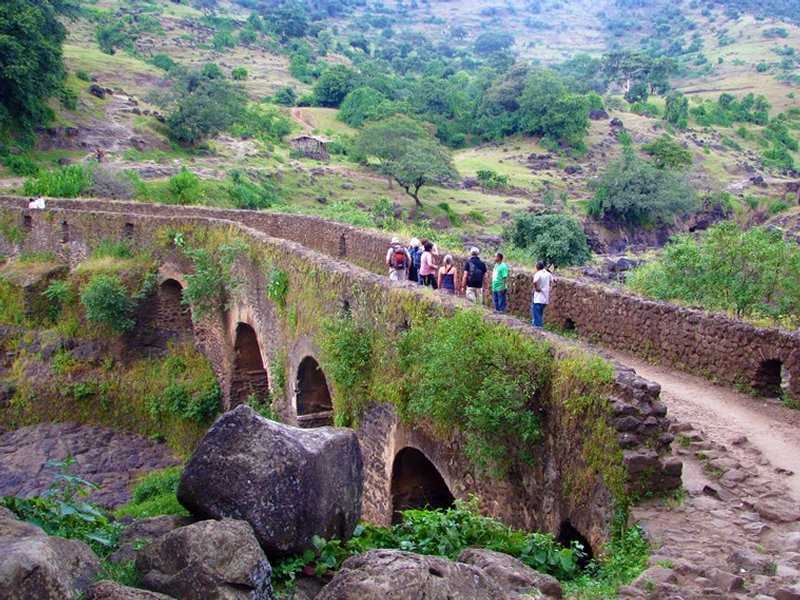 We leave Imet Gogo with beautiful images imprinted forever in our minds and head down to the valley of Meflekiaw. 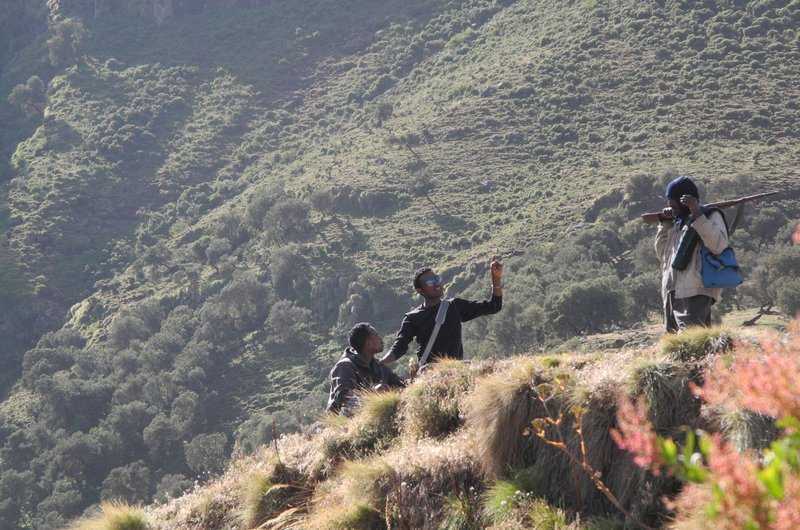 From the valley we climb again about 500 meters and to reach a point called Enatye at 4070m. This is the highest point of today’s trek and from here we descend to beautiful Chennek. 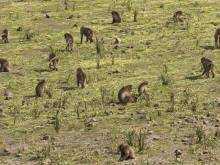 The area around Chennek is home to many gelada baboons and they are often seen in large numbers in and around camp. It’s also possible to see walia ibex grazing, mock fighting or simply sitting on a rock soaking up some sun right next the camp. Overnight Chennek camp (3600m). Today we trek from Chennek camp to Ras Buwahit peak and return. The hike takes about 5 to 6 hours in total. At 4430m, Ras Buwahit is the second highest peak in the Simien mountains and we may see walia ibex along the way. There is also the chance of seeing the rare, endemic Simien wolf. 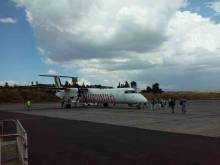 You will be picked up either from Gondar Airport or your hotel. There is then a drive of about 102 km north to the small town of Debark, where the park headquarters are located. Here we will employ a scout, cook and pay for entry into the park. After a drive of 27 km, we will start the first day's trek of about 2-3 hours to Sankaber, the first camp site, arriving in time for a beautiful sunset and delicious evening meal around an open fire. After hiking for an hour and a half along the escarpment, we arrive at a stunning waterfall, cascading 500 metres through a hole in the rock into the bottom of an impressive gorge. It is particularly spectacular following the rainy season (September-November). 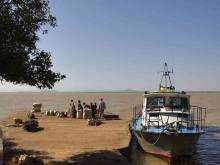 Offers some of the most spectacular sights of the whole trip. The views in all directions are dramatic and ever changing as the sun moves through the day. In the morning, we walk along the crest of a broad ridge to Imet Gogo. 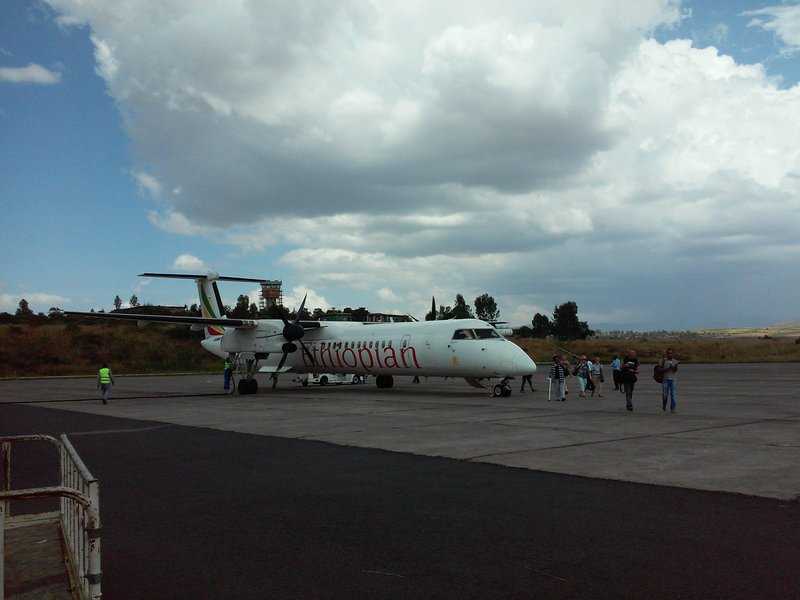 Here we should get our first glimpse of Ras Dashen, the highest peak in the country. There is also a good chance of seeing the indigenous Gelada baboon. After a morning of 3-4 hours trekking, we have a lunch break at the head of the Inatey Valley (4,070m) before continuing along the Belegez Valley to our final destination - Camp Chennek. From Chennek you can see over the escarpment edge and across the foothills. 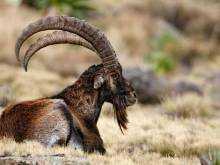 This is a good place to spot Walia ibex and more Gelada baboons. Another wonderful walk. Heading in the same direction as the previous day, we soon branch off to reach the edge of the escarpment, which we follow to the top, Enatye (4,070m). The dramatic views continue all the way down to Chennek Camp 3,620m. This is a challenging day's trekking of ascents and descents as we make our way from Chennek to Ambiko. We have a high chance of seeing the rare and endangered mountain goat (Walia ibex), unique to the Simien. From Chenek, we climb to a pass at 4,200m and from the pass we have a big drop down to Mesha River (2,850m), via the village of Chiro Leba. From the river, we then ascend 350m to the base camp of Mount Ras Dashen, Ambiko. 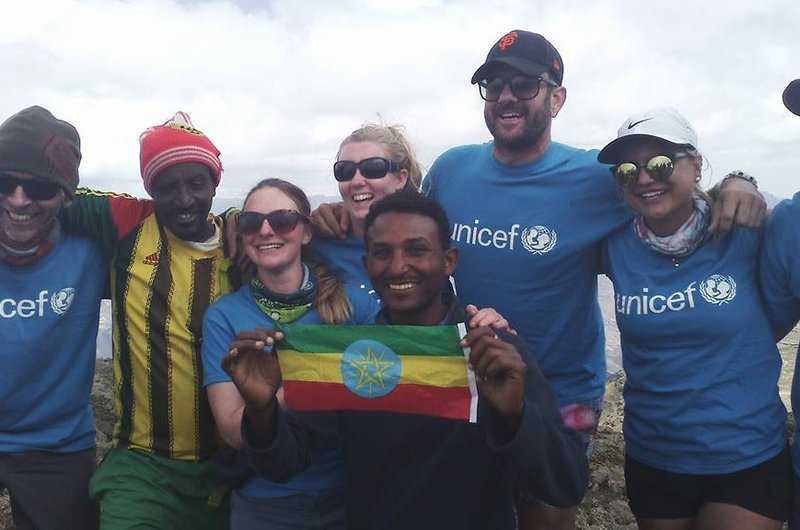 We complete an ascent of Ras Dashen (4,543m) before returning to Ambiko. 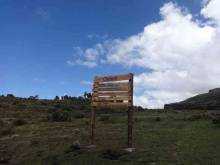 From Ambiko (3,200m), we trek to Sona Camp (3,150m) with plenty of ups and downs. Lunch is at a village called Arkwhziye, a place where local inhabitants sell us refreshing drinks. We descend into the lowlands begining with an 1,100m descent into the Ensiya Valley where we have a relaxed lunch break. 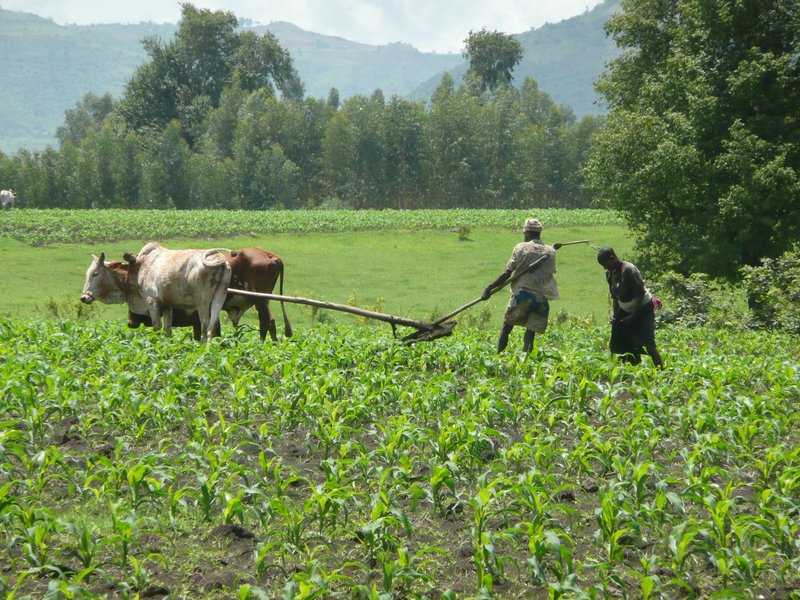 We then move onto our camp, near the village of Mekarebya. From Mekarebya camp, we drop 350m followed by a hot 400m ascent. 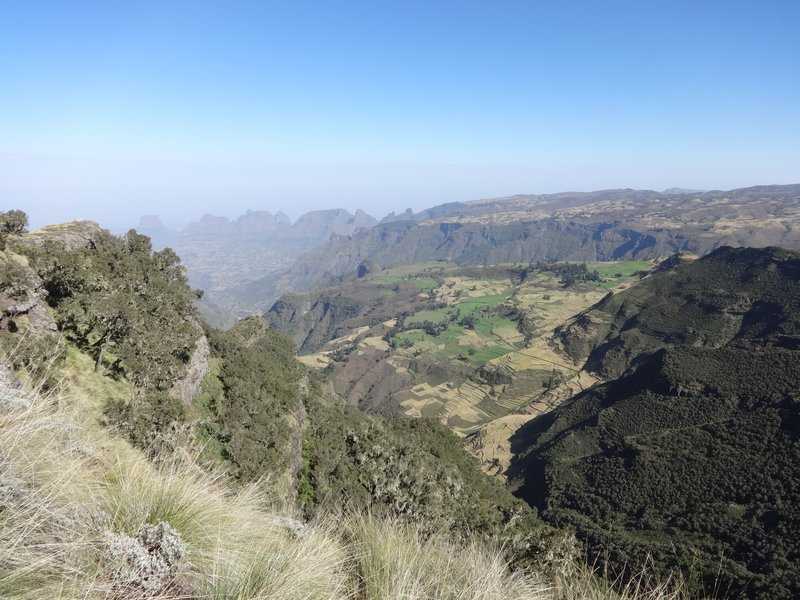 We will have a lunch stop and after having our lunch, will hike for about an hour on a gentle slope to the last camp site of the Simien Mountains, namely Mulit (2,150m). 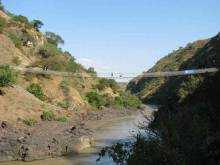 The final day's walking leads to Adi Arkay (1,800m) and from there, a drive either to Gondar or to Axum via Debark. 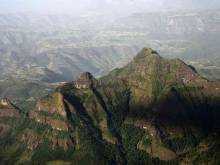 The Simien Mountains in Northern Ethiopia contains Ethiopia's biggest mountains ras dashen at 4543m is the countries highest peak and is the best of national park in terms of its landscape some of the finest highland trekking in the world with rare wild life, stunning views and fascinating traditional villages. 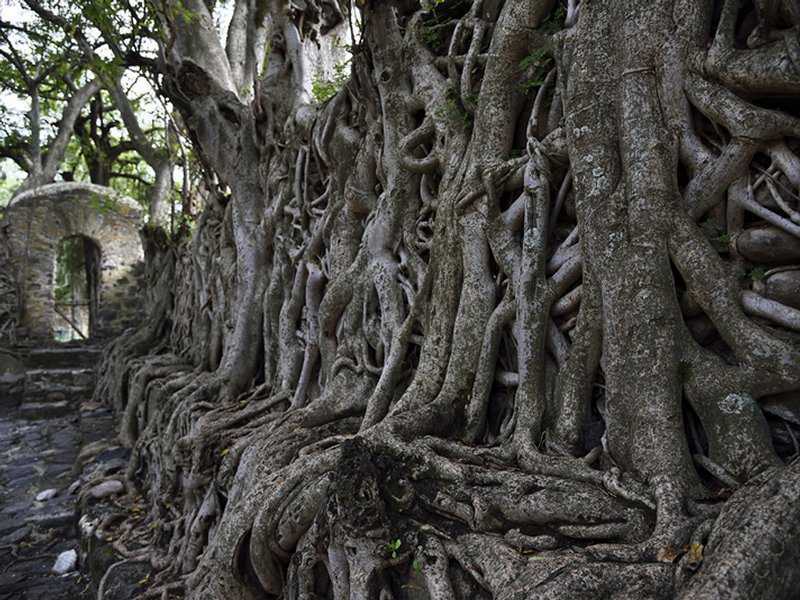 A designated UNESCO World Heritage site since 1978 due to its outstanding beauty and its host of indigenous species, treks follow a common trail from park campsites along a dramatic ridge. 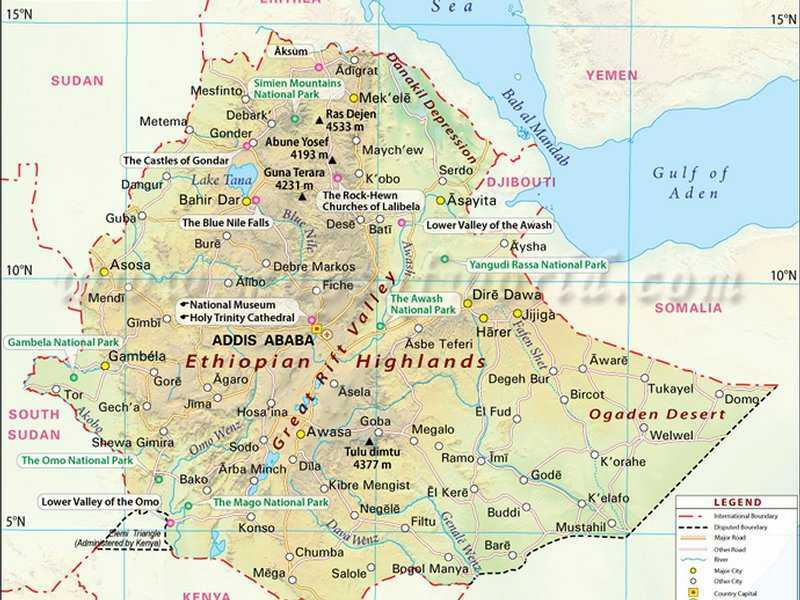 Known as the Roof of Africa, the mountains range between 3,500 and 4,000 metres, with Ras Dashen as the highest peak at 4,543 metres. 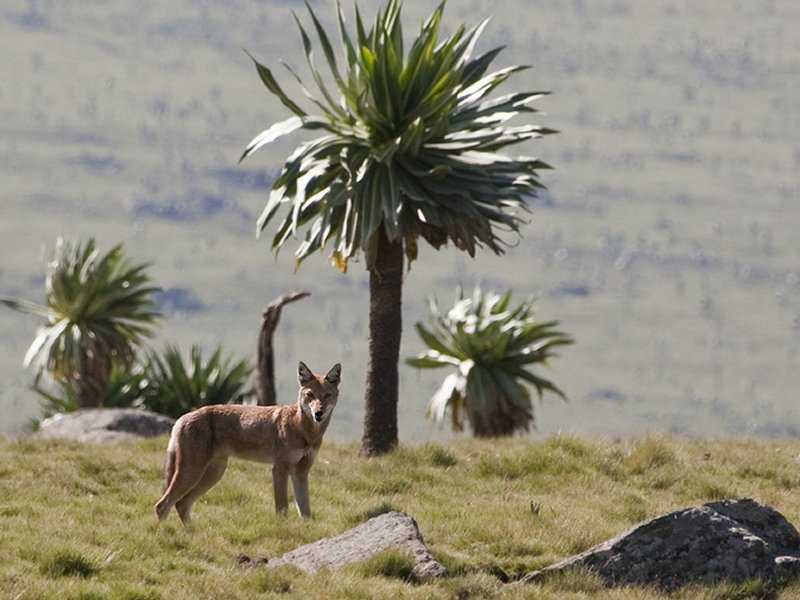 Gelada baboons, Walia ibex and the Ethiopian wolf are all found within the national park, which is also home to over 182 species of bird, of which 7 are indigenous. The visitor can see endangered birds such as the Hooded Vulture, the impressive Lammergeyer, the Abyssinian long Claw, the Egyptian Vulture and many more. 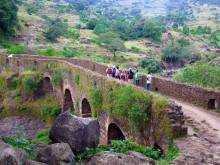 The town of Lalibela was originally known as Roha. 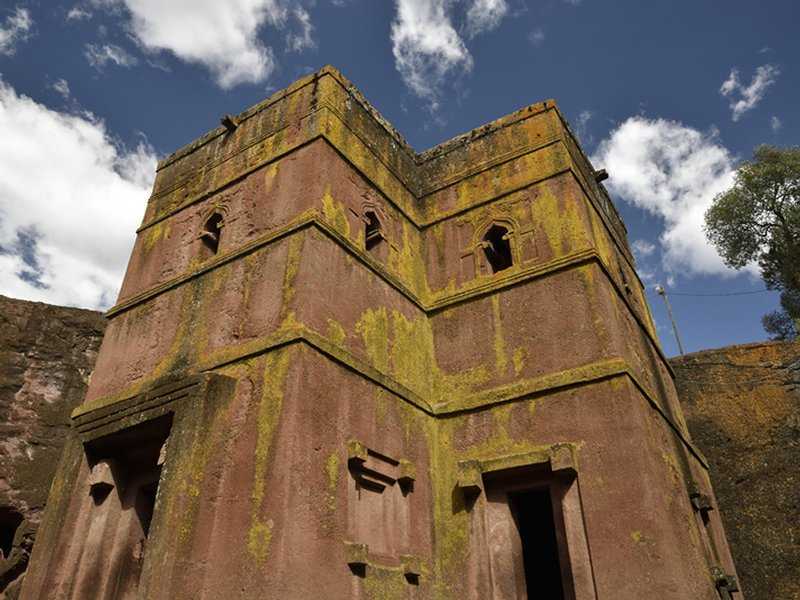 It was renamed after the 12th-century King Lalibela , who commissioned these extraordinary churches. Lalibela was a member of the Zagwe dynasty, which had seized the Ethiopian throne around 1000 AD. 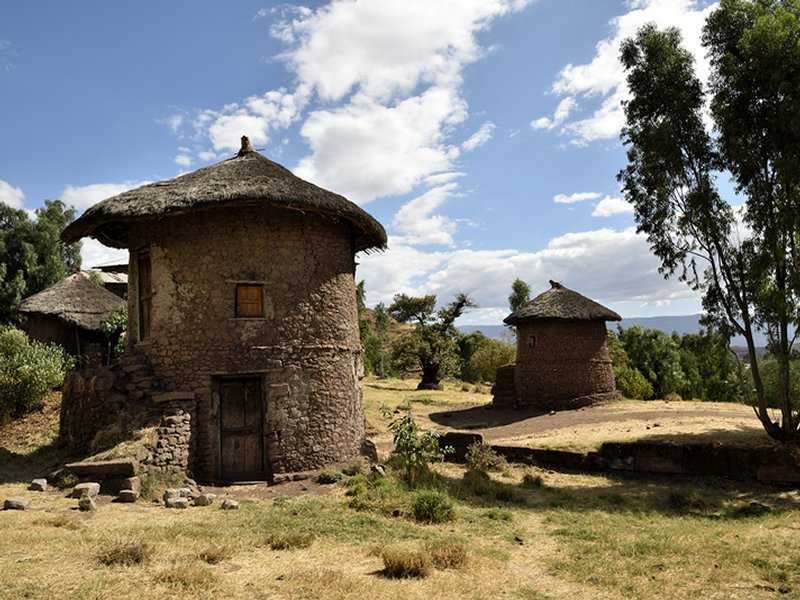 When his rivals began to increase in power, Lalibela sought the support of the powerful Ethiopian Orthodox Church by building the churches in this small town. 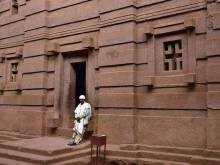 King Lalibela's goal was to create a New Jerusalem for those who could not make a pilgrimage to the Holy Land (and to create a sacred city to rival powerful Axum, with its Ark of the Covenant ). According to some reports, he had been to the Holy Land himself and was inspired by what he saw. 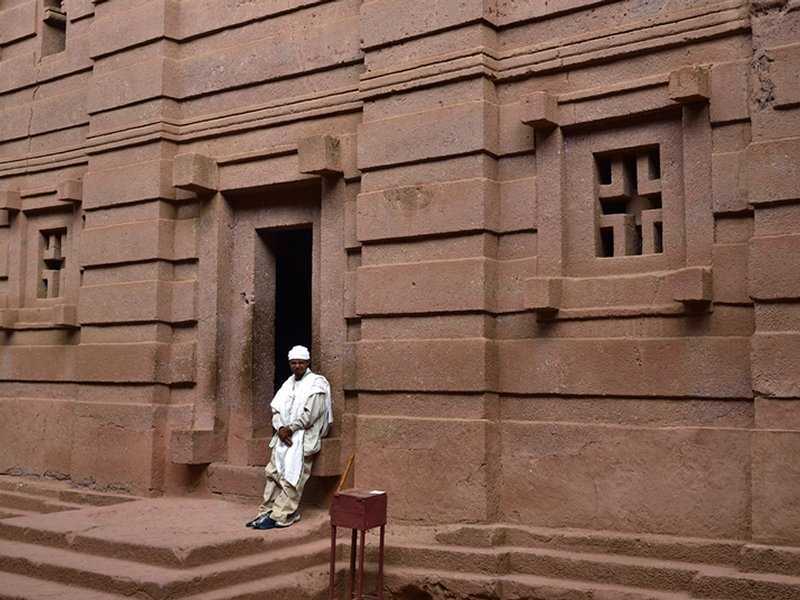 But the king made no attempt to copy the churches of the Holy Land; in fact, Lalibela's sacred architecture could not be more unique. King Lalibela's project for gaining the church's favor had two unexpected results: the creation of a holy place of unparalleled beauty and the king's conversion to a religious life. 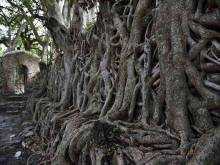 After laboring for 20 years, he abdicated his throne to become a hermit, living in a cave and eating only roots and vegetables. 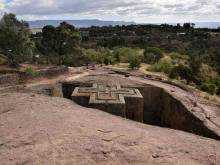 To this day, Ethiopian Christians regard King Lalibela as one of their greatest saints. The churches have been in continuous use since they were built in the 12th century. The first Europeans to see these extraordinary holy sites were Portugese explorers in the 1520s, one of whom noted in his journal that the sights were so fantastic, he expected readers of his descriptions would accuse him of lying. 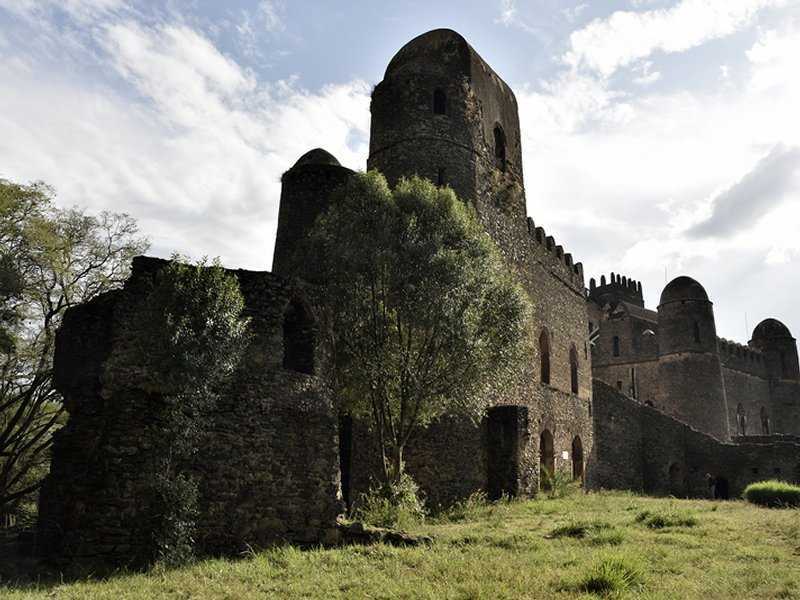 Gondar is famous for its many medieval castles and the design and decoration of its churches. The earliest of the castles was created by Fasilidas himself and is still in such an excellent state of repair that it is possible to climb its stats all the way to the roof, which commands a breathtaking view over much of the city. 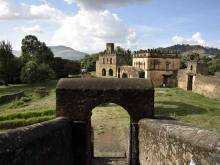 748 kilometres from Addis Ababa is the graceful city of Gondar, founded by Emperor Fasilidas in 1635. 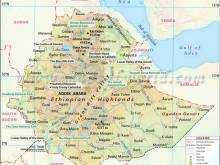 The city was Ethiopia's capital until the reign of the would-be reforming Emperor Tewodros II, also known as Theodore. During its long years as a capital city, the settlement emerged as one of the largest and most popular cities in the realm. It was a great centre of commerce, trading with the rich lands south of the Blue Nile, as well as with Sudan to the west, and the Red Sea port of Massawa to the north-east. 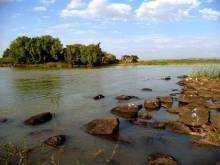 The river Nile, over 800 Km in length with in Ethiopia and the longest river in Africa, holds part of its heart in Ethiopia from Lake Tana, the Blue Nile, known locally as Abay, flows for 800 Km within Ethiopia to meet the White Nile in Khartoum to form the great river. It has been said that the Blue Nile contributes up to 80 % of the Nile's flow. Nowhere, is it more spectacular than where it thunders over the Tis Isat Falls literally "Smoking Water" - near Bahir Dar. Here millions of gallons of water cascade over the cliff face and into a gorge, creating spectacular rainbows, in one of the most awe-inspiring displays in Africa. 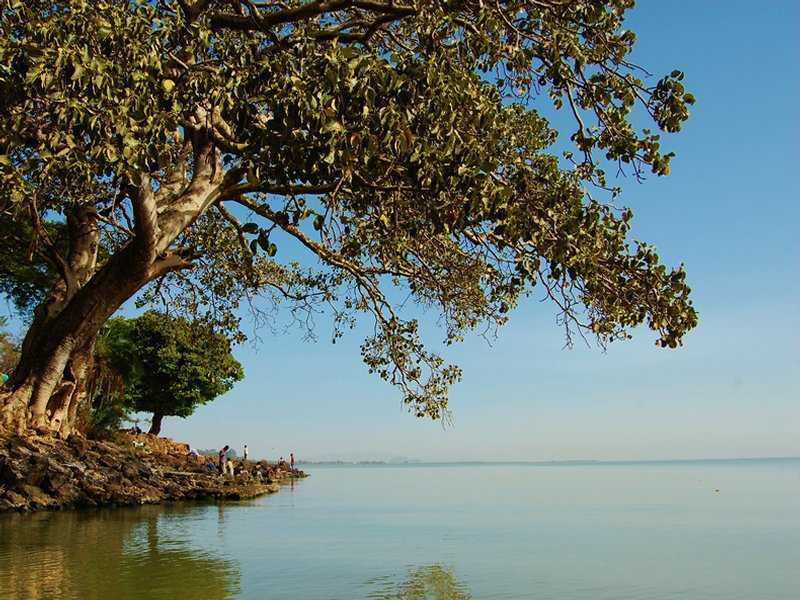 Lake Tana, the largest lake, in Ethiopia is the source and from where the famed Blue Nile starts its long journey to Khartoum, and on to the Mediterranean. 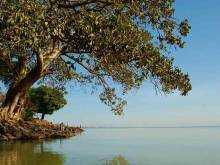 The 37 islands that are scattered about the surface of the lake shelter fascinating churches and monasteries, some of which have histories dating back to the 13th century. However, it should be noted that most of the religious houses are not open to women. 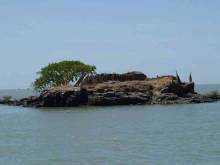 The most interesting islands are: Birgida Mariam, Dega Estephanos, Dek, Narga, Tana Cherkos, Mitsele Fasiladas, Kebran and Debre Mariam. Kebran Gabriel is the principal monastery visited by male tourists, with its impressive cathedral - like building first build at the end of the 17th century. Dega Estephanos, which is also closed to women, is on an island in the lake, and the monastery is reached by a very steep and winding path. Although the church is relatively new (only hundred years old), it houses a Madonna painted in the 15th century. However, the treasury of the Monastery is a prime attraction, with the remains of several Emperors, as well as their robes and jewels. On the peninsula Zegay are many more monasteries, such as Ura Kidane Mehret and Azwa Mariam, many of which are also open to be visited by women. Near Gorgora, at the northern end of the lake, the Susneyos palace is a forerunner of the magnificent palaces and castles of Gonder, and dates from the reign of Emperor Susneyos. 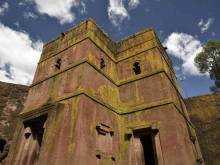 In the same area the medieval church of Debre Sina Mariam is particularly important. 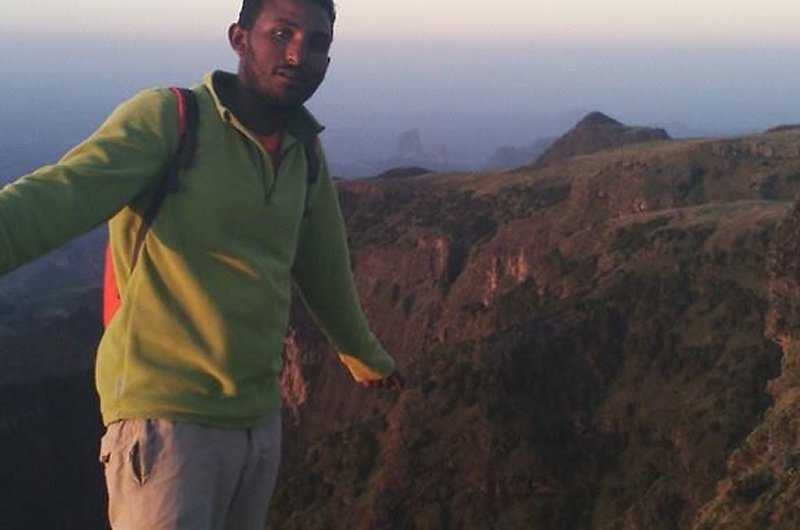 Hi, my name is Haile Michael Ayelegne, I have been a professional tourist guide in Ethiopia since 2004, specializing in some of the top tourist destination of the country i am based at debark where the simien mountain national park head quarter is located and works with my clients in coordination with other professional tourist guides in Gonder, Bahir Dar and Axum. 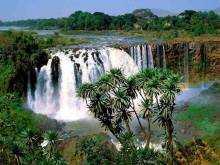 We also work with well integrated network of associates to meet your every tour interests in Ethiopia. I hope to see you in Debark. Feel free to contact me with any questions or needs you my have. I am happy to help you get your trip planned. I speak fluent english and basic french. Thank you, your message has been sent successfully and we will respond soon. © 2018 Heile Michael Ayelegne. All Rights Reserved.